Baptism has reached notable age of 20 years of activity. 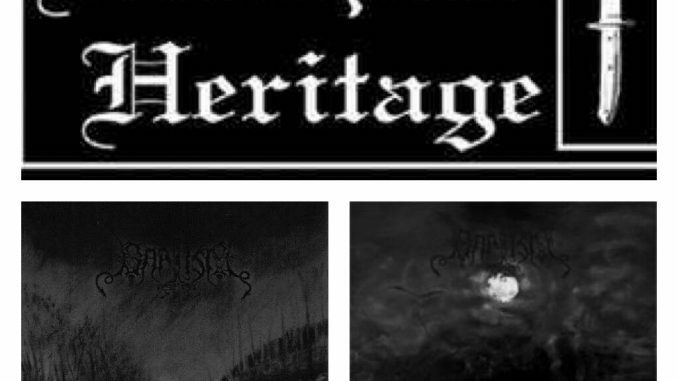 Despite latest album was done on bigger label, Northern Heritage remains proud to keep alive bands discography that has been published almost exclusively by us. Baptism debut demo, “Satanic Rituals” was published in 1998. Two years later, “Sons Of Ruin & Terror” demo tape. This demo was recorded and released by Warmoon Records, tape label operated by Shatraug of Horna. Demo era wasn’t yet what convinced to sign band under NH banner. It was roughly 1-2 years later, when Werwolf of Satanic Warmaster delivered the news that Baptism was recording full length album in Lappeenranta based studio. He concluded that it was highly improved from demo material and there was not label yet to release it and I should give it a listen. Convinced by recommendation and hearing advance tape of The Beherial Midnight sealed the deal. It may be hard to explain to people now, in 2018, how striking songs such as “Sons Of Ruin & Terror” was in 2002. It combines the rawness, melancholy, heaviness and fierce cold harmonies quite differently than many did back then. Often talked “Finnish Black Metal” -sound of 2000’s was yet to really form. Without doubt, Baptism is among one of key players who shaped idea how Finnish Black Metal of that era sounds like. What sets Baptism as unique band among bands of their era still today, is blend of atmospheric dark melancholy, harmonic riffs and harder hitting metal riffs in rather unique compositional style of Lord Sargofagian. Despite Baptism has re-born in many ways on every release, since beginning some elements are so inbuilt to character of band, that the core of band remains faithful to earliest visions of Baptism. It is no wonder, still today, band can perform some of earliest material next to latest works, and not sound like nostalgia visit in past. This is what Northern Heritage always appreciates. Timelessness. Lack of following the niche of sub-genre or current climate of “scene”. There is nothing more tiresome than yet another template following subgenre band abusing elements that has transformed way beyond the cliche’s – merely as tags and triggers for dull minded consumers. Same cover artists. Same logo artists. Same clip-art symbolism. Or follow genre developments like echo, always few steps behind when interesting things happened. Baptism never sounded quite the same as the rest. You can naturally link some songs or releases in their history to category where may be Sargeist, Satanic Warmaster, Warloghe and so on, but Baptism songs and lyrics and artwork has always been different what set them well among protagonist – not among followers. Titles of releases sum up greatly the atmosphere what one may use when describing works of Baptism: Wisdom & Hate….. Grim Arts of Melancholy. Once in a while you hear someone saying Baptism is underrated. Or people asking why band has not been featured in documentaries of Finnish Black Metal. This type of things are just superficial. Bands role and importance is not measured by it’s coverage in media or public celebrations of sales figures. One good way to see bands importance is simply to consider if it would change anything that they would have not existed. There are endless amoung of irrelevant bands who come and go, and leave no permanent mark. Baptism is not among them. Its role in what many people see as Finnish Black Metal might be even more crucial than it first appears. 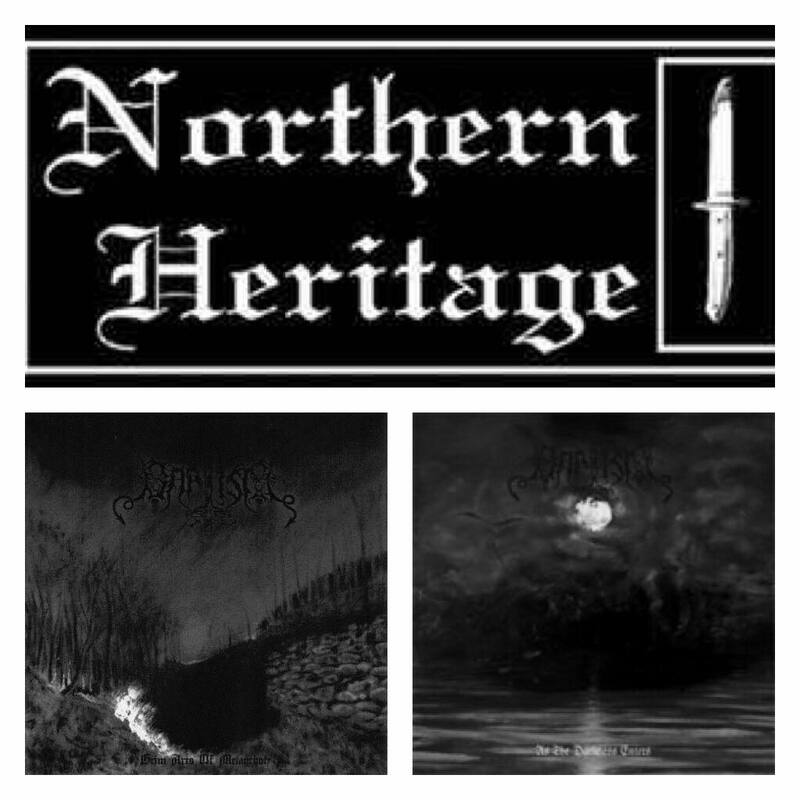 Northern Heritage proudly keeps available the legacy of Baptism back catalogue!